Real Escapes Properties proudly offers Roseneath Cottage! A great place to rewind and relax. 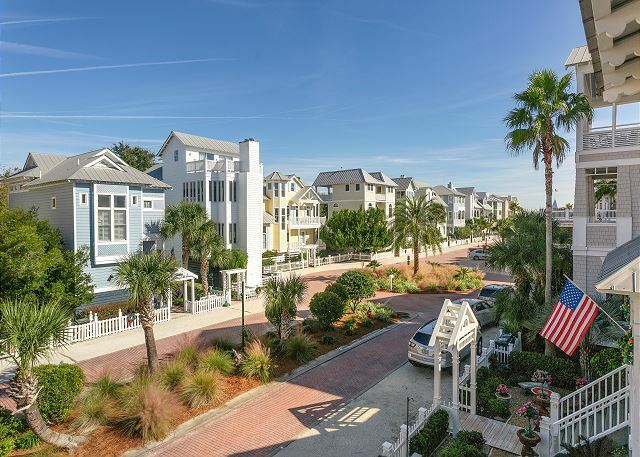 Coast Cottage neighborhood places you steps away from St. Simons Island's best beaches and gives you access to the pool all year! Coast Cottages provides you with two designated parking spaces which are located directly in front of your cottage. There are seven stairs from the walkway up to the first level porch that has two lounging chairs and a side table. Once you enter the home on the first level directly to your left you will find a living room with an Insignia 23” flat screen television, an Xbox, and queen size sleeper sofa. Through the living room’s French doorway is a bedroom with a queen sized bed. This bedroom leads to an additional downstairs bedroom that has two twin beds as well as an Insignia 23” flat screen TV. The downstairs level has access to a half bathroom, a full bathroom with a tub/shower combination and single vanity, as well as an additional room with a walk-in tile shower. Up the stairs is your main living level which holds the kitchen, the dining, and the living room area in an open floor plan. Along with your essential kitchen amenities there is a Cuisinart Drip Coffee Maker. The living room has ample seating, a 32" Samsung television with DVD player, and a decorative fireplace. Open from the living area is the dining table which seats up to six people. The upstairs also holds the master bedroom with a Queen sized bed, ceiling fan, and a 23" Insignia flat screen television.